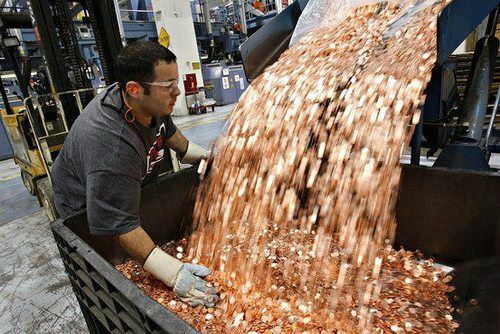 More than 30 trucks filled with 5-cent coins arrived at Apple’s headquarters in California. Initially, the security company that protects the facility said the trucks were in the wrong place, but minutes later, Tim Cook (Apple CEO) received a call from Samsung CEO explaining that they will pay $1 billion dollars for the fine recently ruled against the South Korean company in this way. This dirty but genius troll is a new headache to Apple executives as they will need to put in long hours counting all that money, to check if it is all there and to try to deposit it crossing fingers to hope a bank will accept all the coins. You can use your coins to buy refreshments at the little machine for life or melt the coins to make computers, that’s not my problem, I already paid them and fulfilled the law. A total of 20 billion coins, delivery hope to finish this week. Let’s see how Apple will respond to this.